AttorneyOne.com, a recognized authority on law, updated the website recently and, now, can actively provide an expert opinion in view of the recent news on Propecia lawsuits. Court documents indicate that the next Case Management Conference in the Propecia Litigation is scheduled for April 23 (MCL 623, Superior Court of New Jersey, Middlesex County). 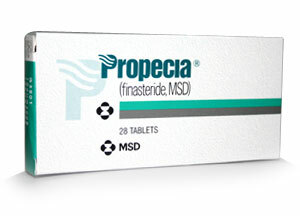 Propecia is a pill, manufactured by Merck, for use in males only and indicated for the treatment of male pattern hair loss. It was approved by the FDA in 1997. According to a Civil Conference held on January 29, the selection of bellwether cases in the Propecia Multidistrict Litigation moves closer (U.S. District Court, Eastern District of New York, MDL 2331 – IN RE: Propecia-Finasteride Products Liability Litigation). Taking into consideration the latest developments, AttorneyOne.com updated the website and, now, can actively provide an expert opinion including how to get in contact with legal counsel easily and inexpensively in cases of severe complications, allegedly from Propecia. Court data updated by the Judicial Panel on Multidistrict Litigation on March 13, indicate that there are 740 cases pending in the Propecia MDL. The plaintiffs claim that Merck failed to warn on Propecia side effects that could cause permanent and devastating sexual dysfunction. AttorneyOne.com has further information on Propecia lawsuits including how to get in contact with legal counsel. Headquartered in San Diego, CA Attorney One was founded in 2004 and is not a law firm. They offer a nationwide legal service which helps consumers find the best representation for their legal needs. You can learn more about Attorney One at our website http://www.attorneyone.com.